After coping with Shannon’s death in 2007, her family wanted to make a difference in the town she grew up in. They started the Sunshine Memorial Foundation and began an annual event called the “More Sunshine Annual Walk and Fun Run”, a.k.a. Sunshine Fest! 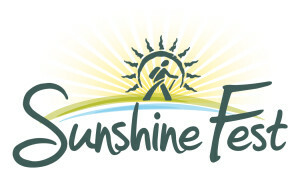 Sunshine Fest is the Sunshine Memorial Foundation’s annual event that aims to raise money for charitable causes. The event consists of a 5K outdoor fun run and an indoor 3K walk, a health and wellness fair, music, fun activities and dozens of amazing prizes! All money raised will be going to the Sunshine Memorial Foundation in support of the our new project, the Proposed Sunshine Hospitality Home! We’d love to have you join us, because everyone could use a little more ‘Sunshine’ in January!